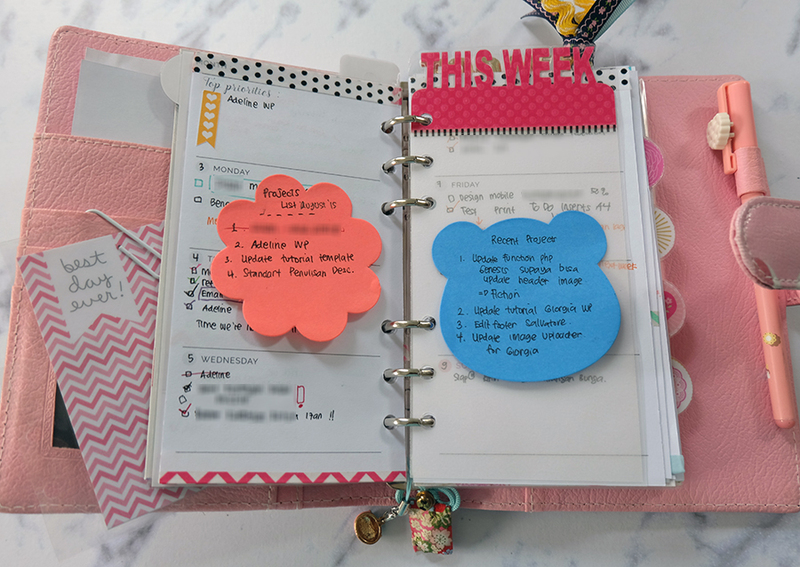 Above is my planner dashboard. 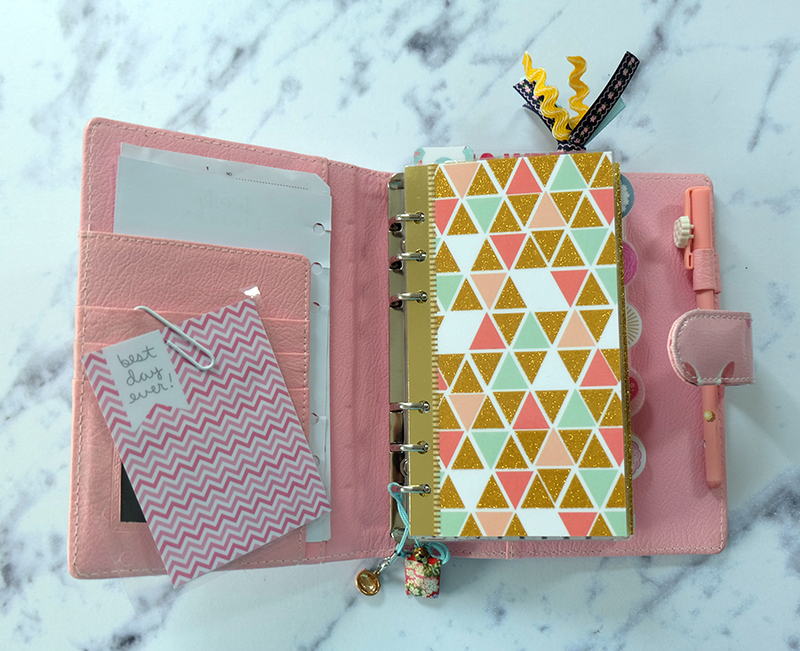 I purchased the triangles dashoard from MyPaperLoveStudio on Etsy along with the "This week" and "Today" dividers. I prefer to write in my weekly/daily inserts more. Here's my Monthly view. Usually at the beginning of the month, I don't have a lot of stuff to write and I don't usually update my monthly view regularly. This is my week #33 (next week). 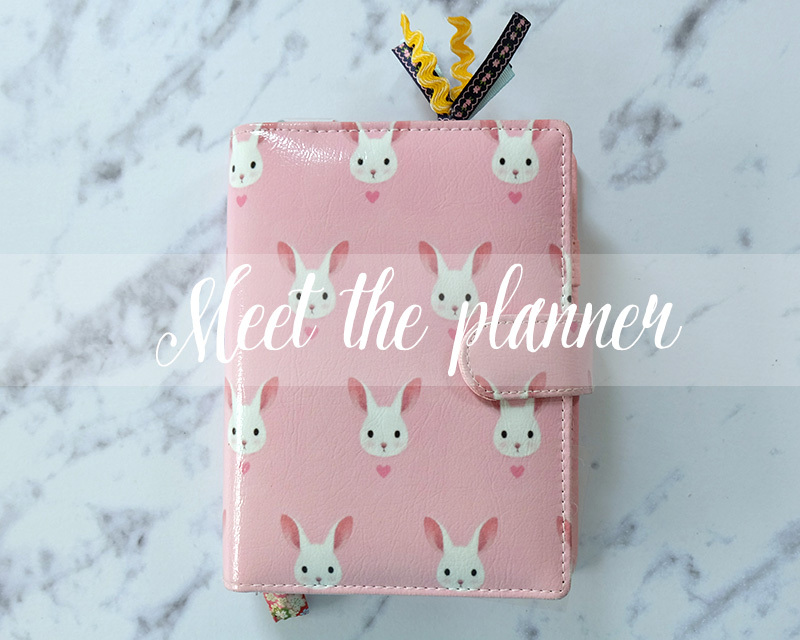 I'm testing a new planner insert with 'erin condren' look alike template. It's designed in a hurry and I'm not satisfied with the result. 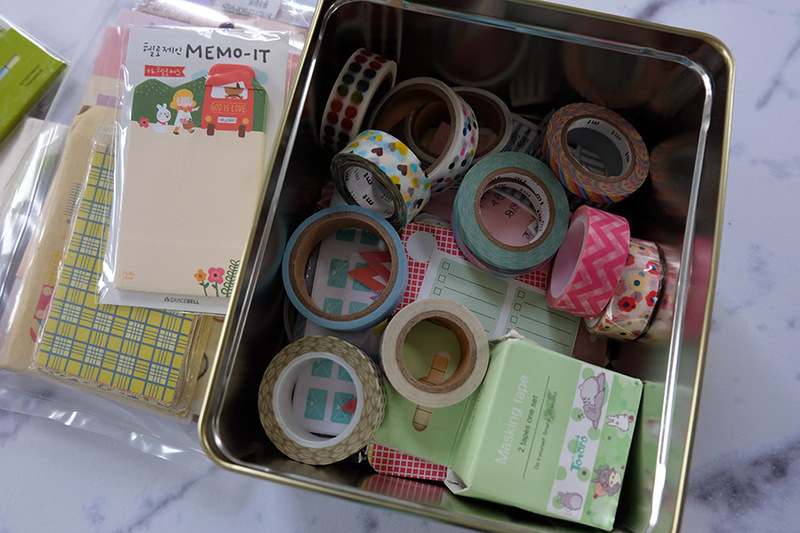 As you can see on the picture, I'm using my new MT washi tapes xD (except the blue one at the bottom). If you're curious how my week 32 looks like, here's the picture. 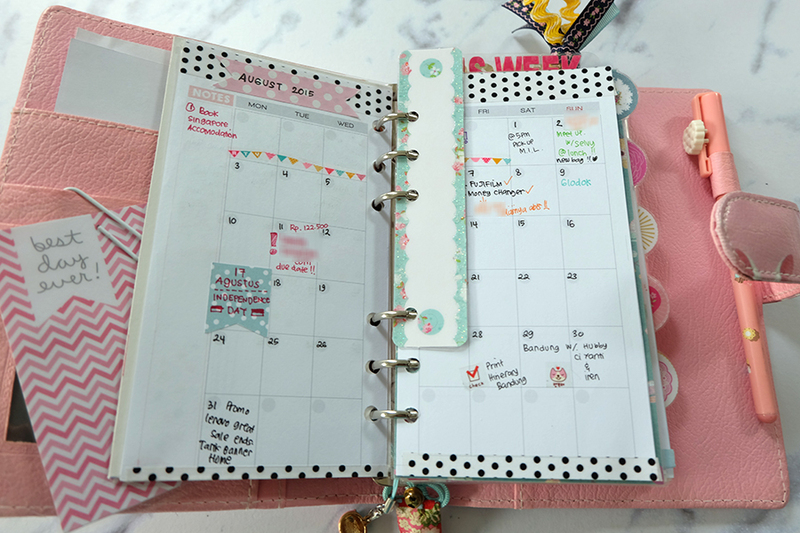 I don't decorate my planner with cute stickers because I use my planner for works so there'll be a lot of scratches here and there ;p I think it's a waste to use cute stickers for this planner. 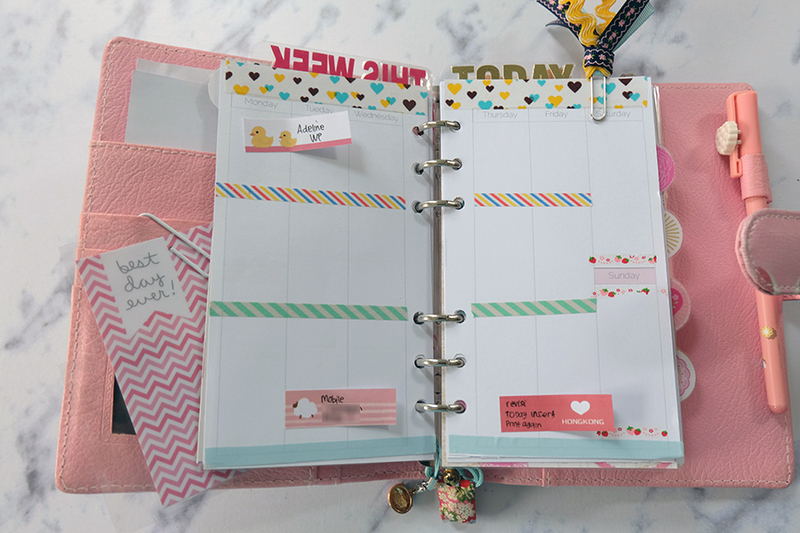 I like my planner inserts simple so I could decorate it with washi tapes and stickers. But I bought my "TODAY" insert from Etsy shop, Ellemondesigns. I didn't have a TODAY insert before, everything is cluttered into the weekly page. It's so messy! I didn't have time to design one myself so I decided to purchase it. Of course, I'm very selective to my choice - am a hard to please kind of person -. I like her simple design and I think it matches my style. Plus, the insert has everything I need. It's so perfect! And by the way, my "today" view is plainly boring. mostly just my writing of daily schedule or what projects to be done by today. I get my basic supplies from local shop here in Jakarta or buy them online. My favourite pen to write on my planner is uniball (a BIG FAN of this brand!) 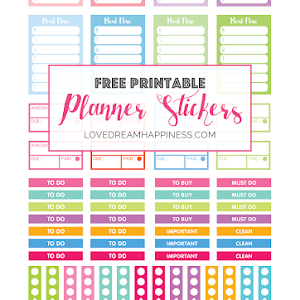 I also tried to make it myself, like planner stickers or the paper clips. 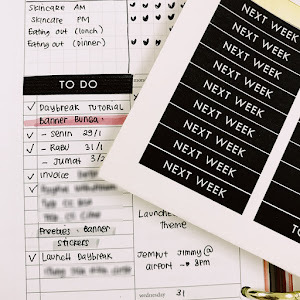 I really want to buy from etsy, but sometimes the shipping cost is killing my wallet :p If I can make it myself, no need to buy it ;) #FrugalLiving I'm trying my best not to spend too much money on planner supplies (*crossfinger*). But sometimes those cute stationaries are screaming at me to be bought. So... I can't help :D lol. 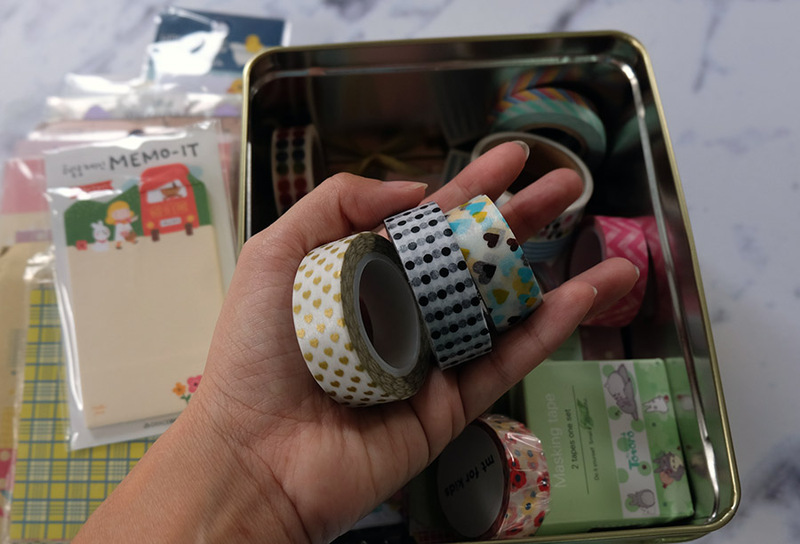 My personal favourite washi tapes. That's all for now :) I will try to update more :) Thanks for reading!